The 229-foot-tall (70-meter) rocket is poised for launch from pad 39A at NASA’s Kennedy Space Center in Florida during a launch window Thursday that opens at 6:35 p.m. EDT (2235 GMT) and closes at 8:31 p.m. EDT (0031 GMT). 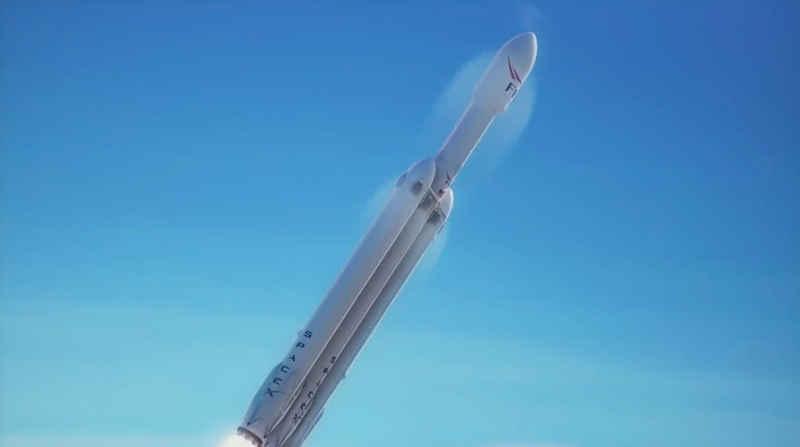 The payload mounted atop the Falcon Heavy rocket is Arabsat 6A, a communications satellite built by Lockheed Martin for Arabsat, an operator based in Saudi Arabia. Read our Mission Status Center for live coverage of the countdown and launch. 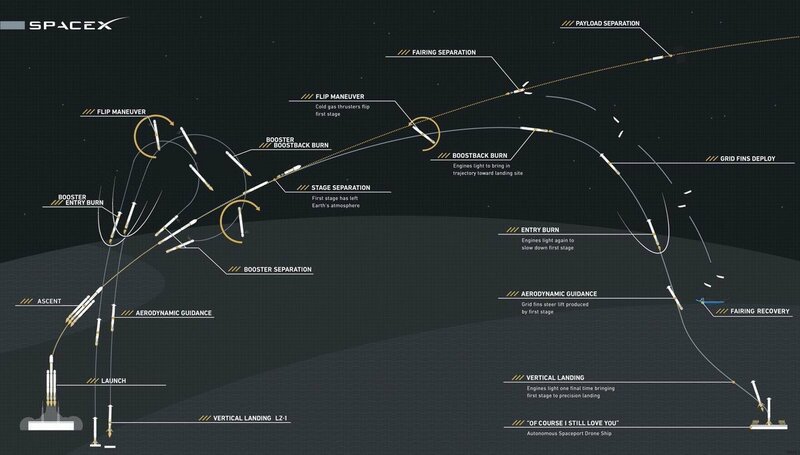 The graphic above illustrates the paths of the Falcon Heavy’s two side boosters, center core stage, and second stage during the rocket’s launch and landing operations. 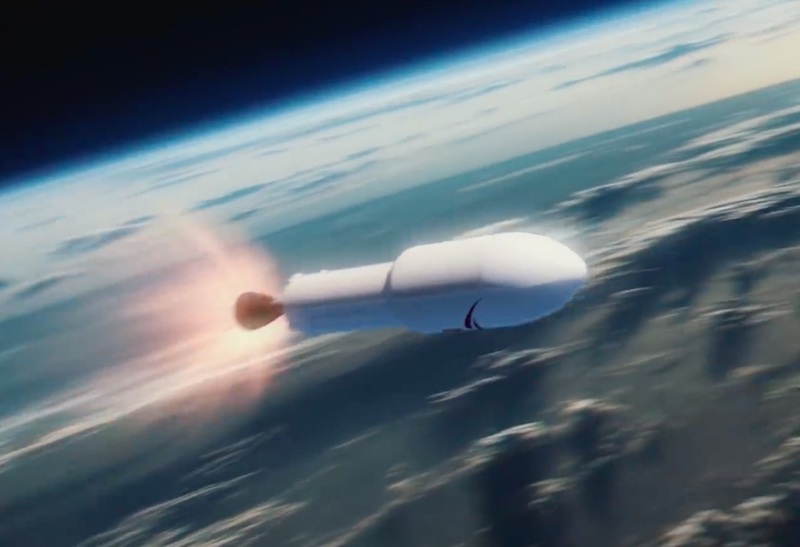 Four different components of the Falcon Heavy will follow trajectories toward different landing zones, or toward Earth orbit. 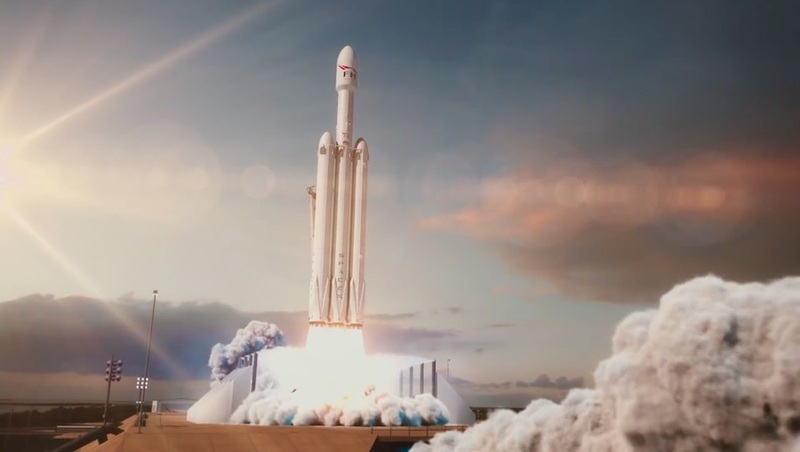 The timeline below outlines the launch sequence for the Falcon Heavy’s second mission — and first commercial flight. 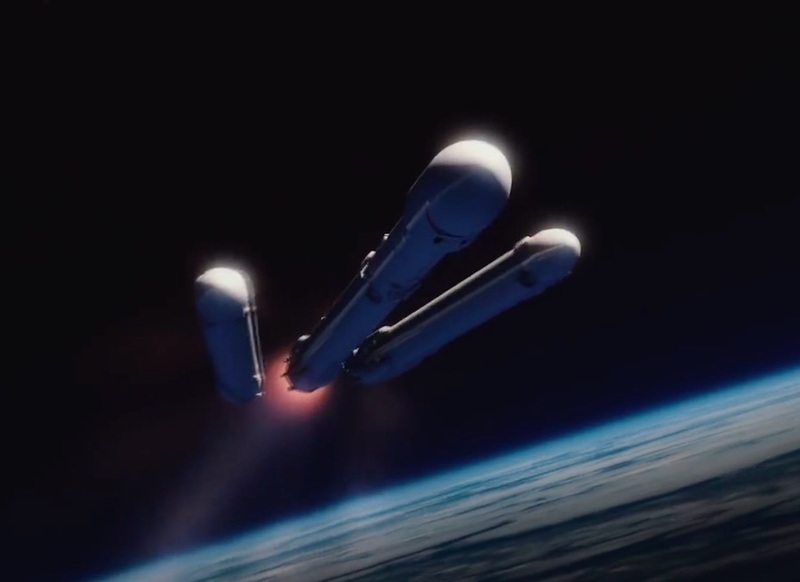 The Falcon Heavy’s engine controllers will command nine Merlin 1D engines on each of the rocket’s three first stage boosters to ignite at T-minus 2 seconds. 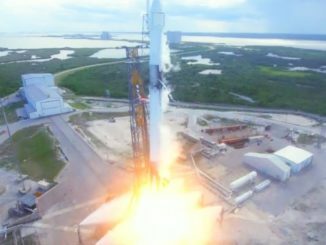 Hold-down clamps will open to release the Falcon Heavy from launch pad 39A as the countdown clock reaches zero, once the vehicle passes an automated health check. 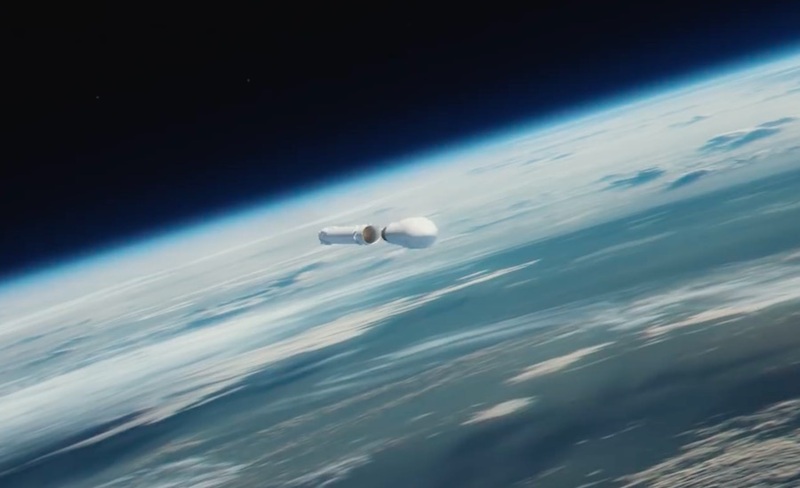 The Falcon Heavy rocket reaches Max Q, the point of maximum aerodynamic pressure. 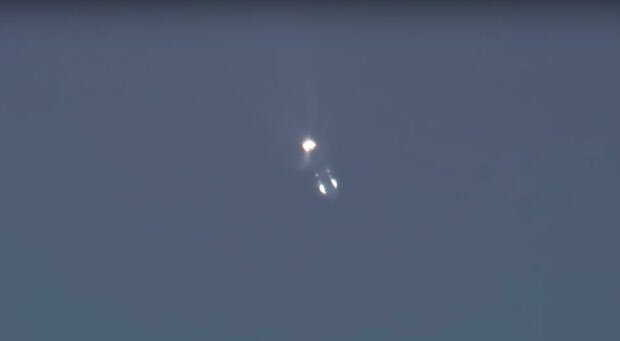 The Merlin 1D engines on the two side boosters shut down a few seconds before booster separation. 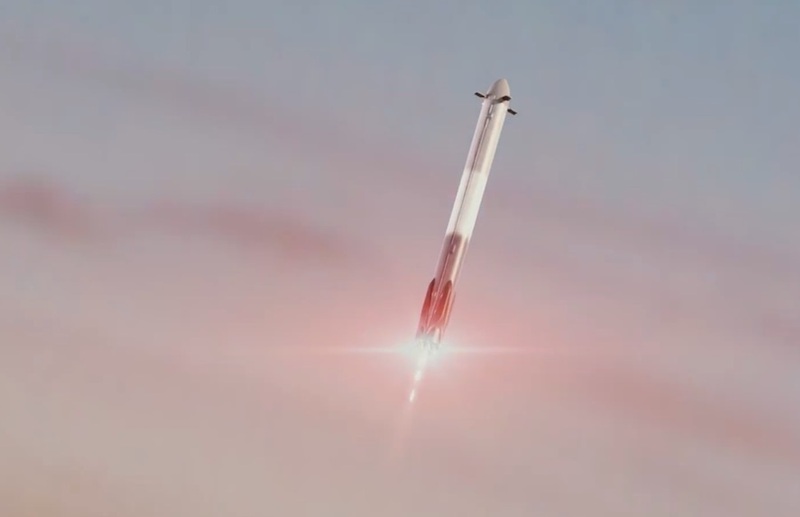 The two 15-story-tall side boosters separate from the Falcon Heavy rocket to begin their descent back to Cape Canaveral. After flipping around to fly tail-first, the Falcon Heavy’s two side boosters each reignite three of their engines to begin their return to Cape Canaveral for landing. 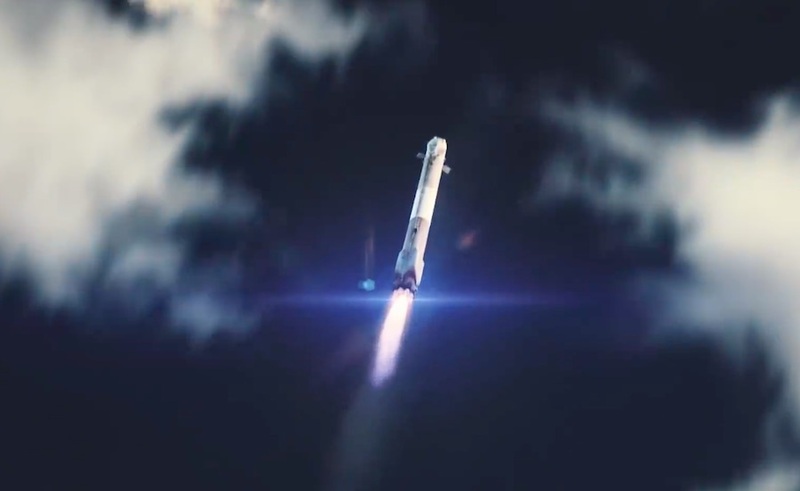 The Falcon Heavy’s nine core stage Merlin 1D engines shut down. 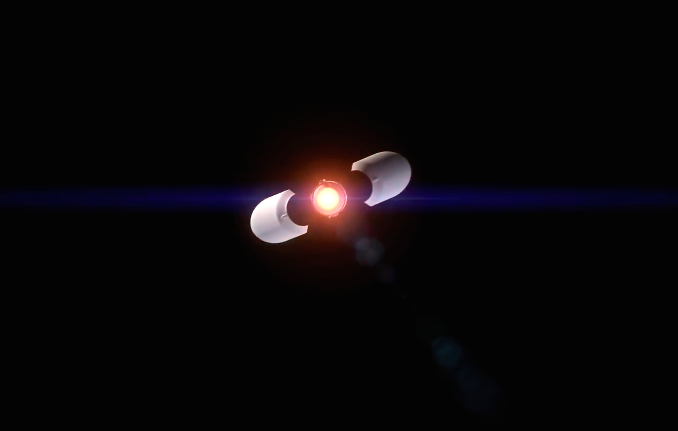 The Falcon Heavy’s center core stage separates from the second stage moments after MECO. 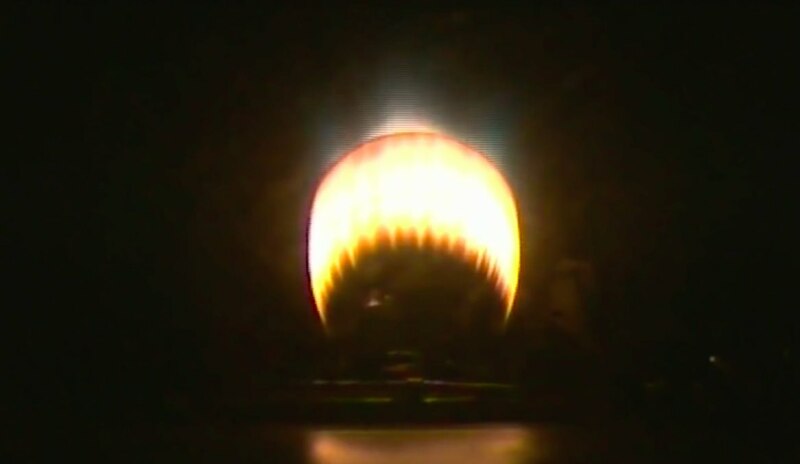 The second stage Merlin 1D vacuum engine ignites for a five-minute burn to put the rocket and its payload into a preliminary parking orbit. The Falcon Heavy’s two side boosters reignite a subset of their Merlin engines for an entry burn prior to touchdown. 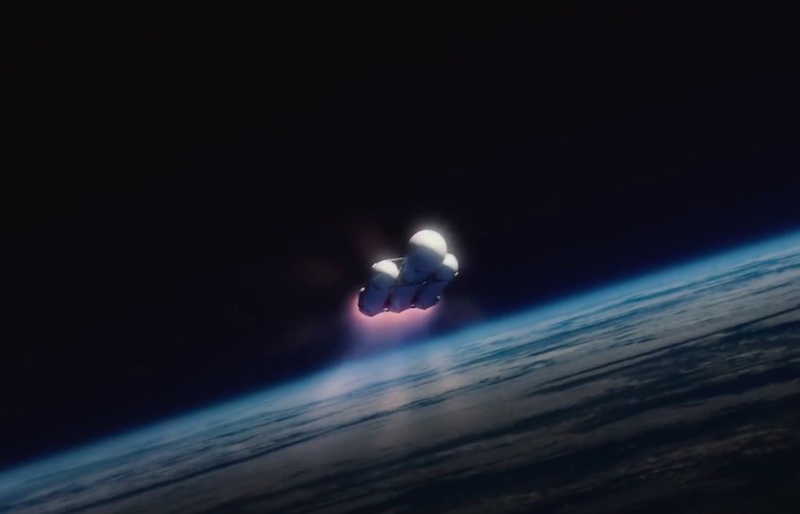 The Falcon Heavy’s center core stage begins its entry burn targeting SpaceX’s drone ship “Of Course I Still Love You” in the Atlantic Ocean. 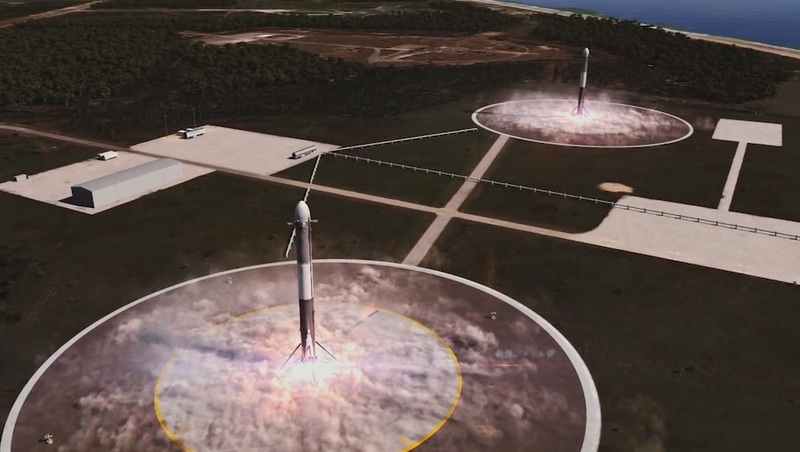 The Falcon Heavy’s two side boosters touch down at Landing Zone 1 and Landing Zone 2 at Cape Canaveral Air Force Station. 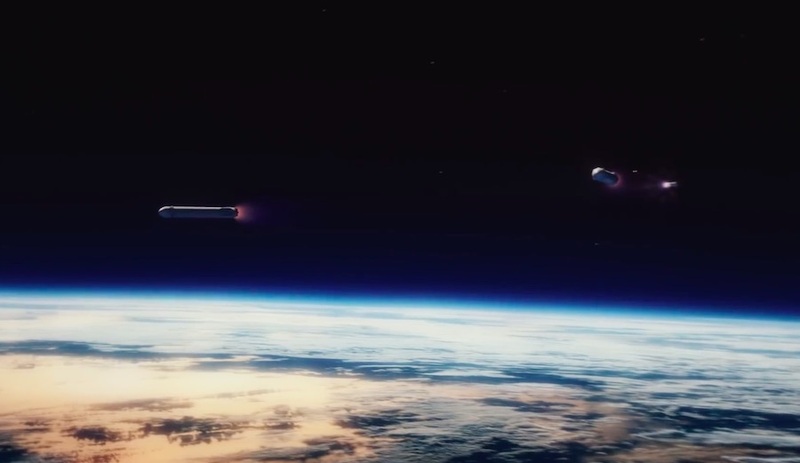 The second stage of the Falcon Heavy rocket shuts down after reaching a preliminary low-altitude orbit. 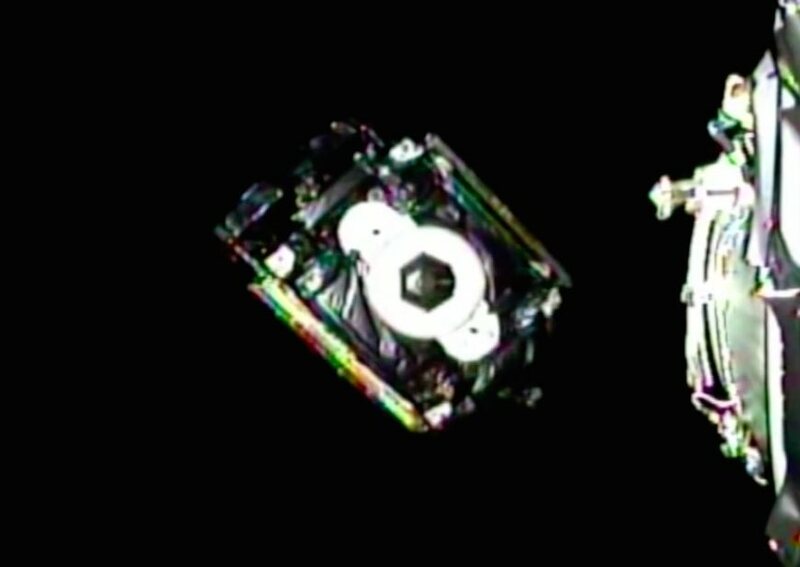 The upper stage and and its payload — the Arabsat 6A communications satellite — begin a coast phase scheduled to nearly 19 minutes before the second stage Merlin vacuum engine reignites. 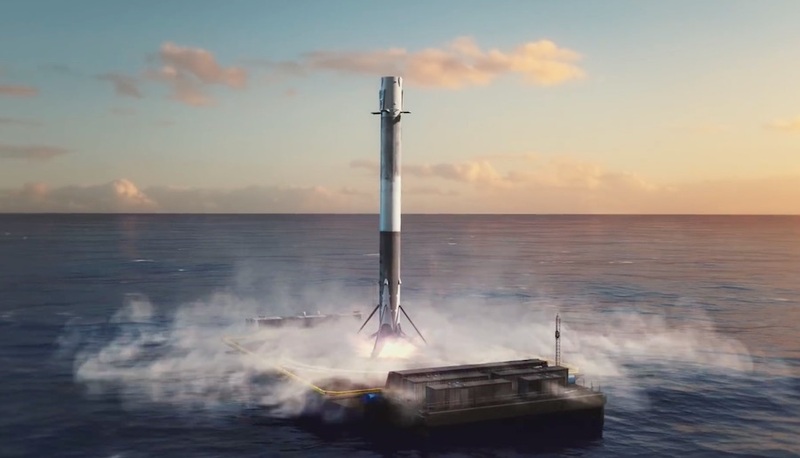 The Falcon Heavy’s central core stage touches down on “Of Course I Still Love You,” SpaceX’s drone ship positioned a few hundred miles east of Cape Canaveral in the Atlantic Ocean. 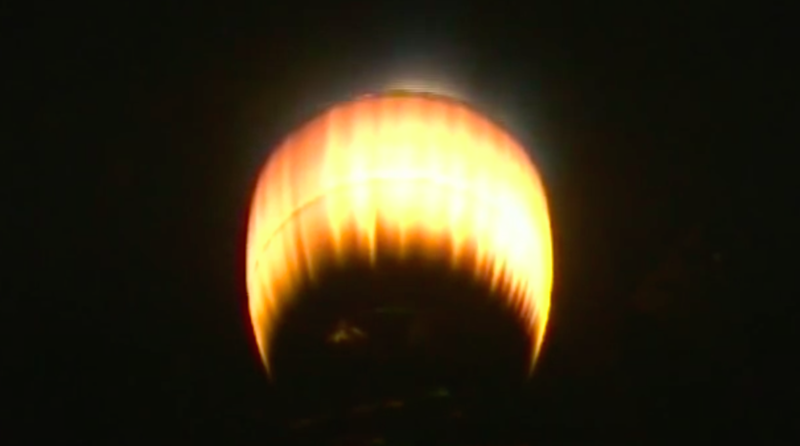 The Falcon Heavy’s second stage Merlin engine restarts to head into a higher orbit around Earth. 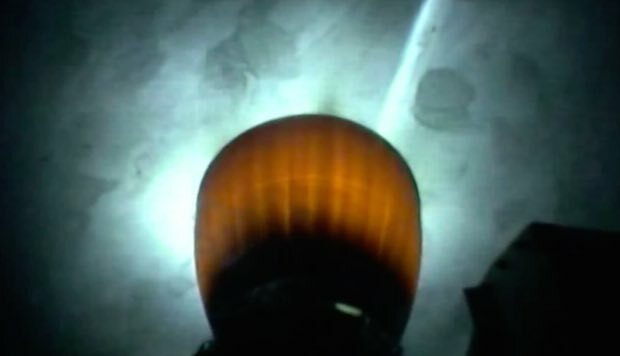 The Merlin engine shuts down after a short burn to inject the Arabsat 6A communications satellite into a supersynchronous transfer orbit ranging between 124 miles (200 kilometers) and 55,923 miles (90,000 kilometers) in altitude, with an inclination of 23 degrees to the equator. 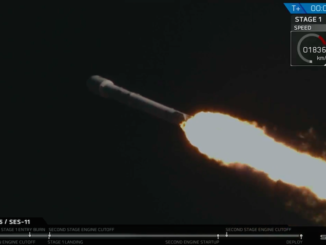 The 14,252-pound (6,465-kilogram) Arabsat 6A communications satellite separates from the Falcon Heavy rocket into an elliptical supersynchronous transfer orbit, on the way to a perch in geostationary orbit.